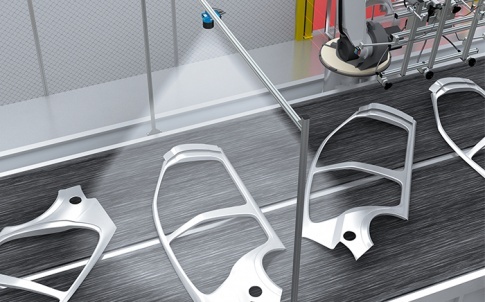 SICK has launched 2D and 3D vision-guided part localisation systems for easy and quick set-up of robot picking from a belt, or from a bin or stillage. Suitable for both cobots and conventional industrial robots, the SICK PLOC2D and PLB 520 have been developed specifically to facilitate affordable, or entry-level automation and for use in handling smaller parts and components. The SICK PLOC2D is an easy set-up vision system for 2D localisation of parts, products or packages to be picked from a static workstation, moving belt, or feeder system. The SICK PLB 520 uses a stereoscopic vision camera to enable 3D vision-guided bin picking applications of much smaller objects than was previously possible. 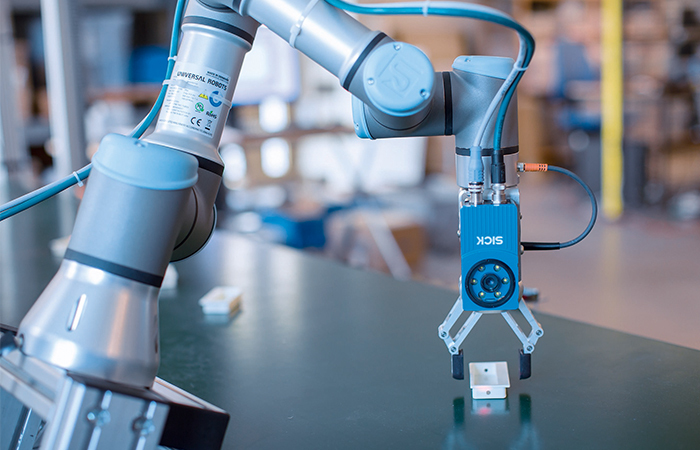 Both systems combine high-performance image processing hardware with a powerful SICK-developed algorithm to deliver ‘out of the box’ integration with pick and place robots. They have been developed to be directly compatible and simple to integrate with most leading industrial robot systems, including cobots such as Universal Robots. 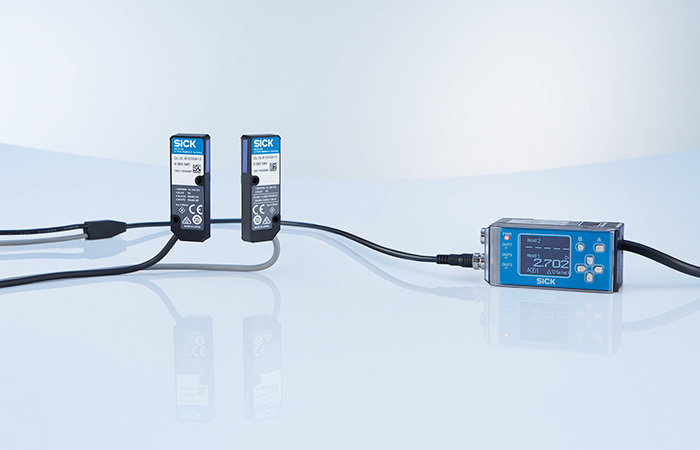 Both the PLOC2D and the PLB 520 can be rapidly and easily connected directly to the robot control without programming skills or training and are ready to use almost immediately. The SICK PLOC2D sensor enables engineers and integrators to provide continuous picking of components and parts from a static workstation, moving belt or bowl feeder. PLOC2D supports single and multiple detection of parts and can identify one specific part type out of multiple types taught to the system. The PLOC2D’s is therefore well suited to handling a variety of small parts. The pre-calibrated version with a 2 x 2m field of view can be also used for the high-precision localisation of large sheet metal stampings in press line automation, for example, in the automotive industry. The SICK PLB 520 is based on SICK’s existing PLB (Part Localisation for Bin picking) 3D robot-guidance system for picking randomly-arranged parts or products used with larger scale industrial robots. The need to pick up components that have been delivered to the factory in a container, bin or stillage and transfer them onto a conveyor belt for onward processing is a very common task. 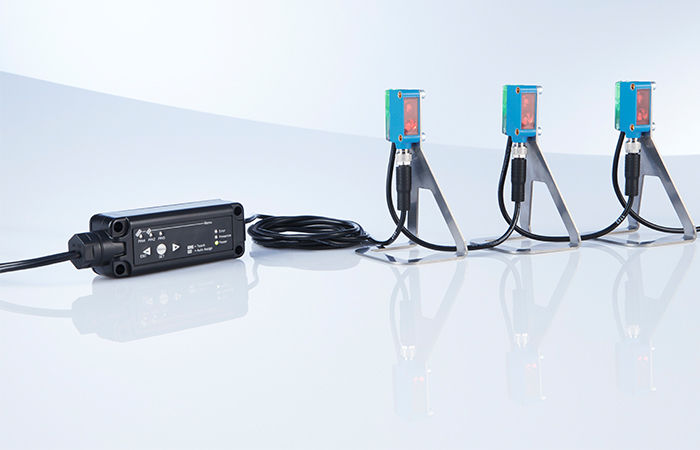 The SICK PLOC2D comprises a powerful 2D imaging system based on the Inspector P vision sensor with an IP65 housing, which connects directly to the robot controller or PLC. The PLOC2D is supplied ready to use from the box in two versions, FIX with a fixed two by two metre field of view, and FLEX with a choice of four lenses and different optical resolutions to meet the application requirements. The SICK PLOC2D EasyTeach function matches taught-in shapes against the object shape measured down to a 0.5 pixel resolution in two axis, with a rotational measurement to 0.1o, providing a measurement in millimetres in a second. The approved shape and its location in the field of view is output to the robot controller to guide picking. The SICK PLB 520 comprises twin 1.3Mpixel resolution cameras, with central high power blue LED illumination for good rendition of a wide range of object finishes and allows specification of lens focal lengths to meet the application requirements for optimal image resolution. 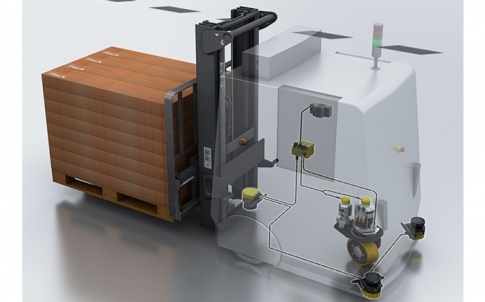 The simple PLB 520 teach-in procedure uses uploaded CAD models of parts, together with a number of identified gripper positions, to enable the algorithm to locate the part in any orientation and select the most appropriate gripper position to pick up the part. With installed software and an SD card, both systems have an easy-to-use interface which is compatible with webserver, Ethernet TCP/IP robot- and PLC interfaces, allowing site or remote configuration. 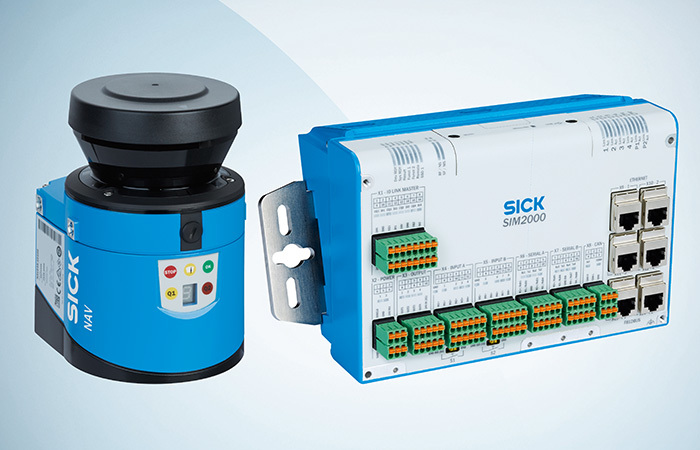 Common communications platforms such as SICK’s 4DPro which incorporates standard protocols, facilitate easy integration of different devices and real time communication with a factory network. For more information on the SICK the SICK PLOC2D and other robotic vision and guidance systems, please contact Andrea Hornby on 01727 831121 or email andrea.hornby@sick.co.uk.